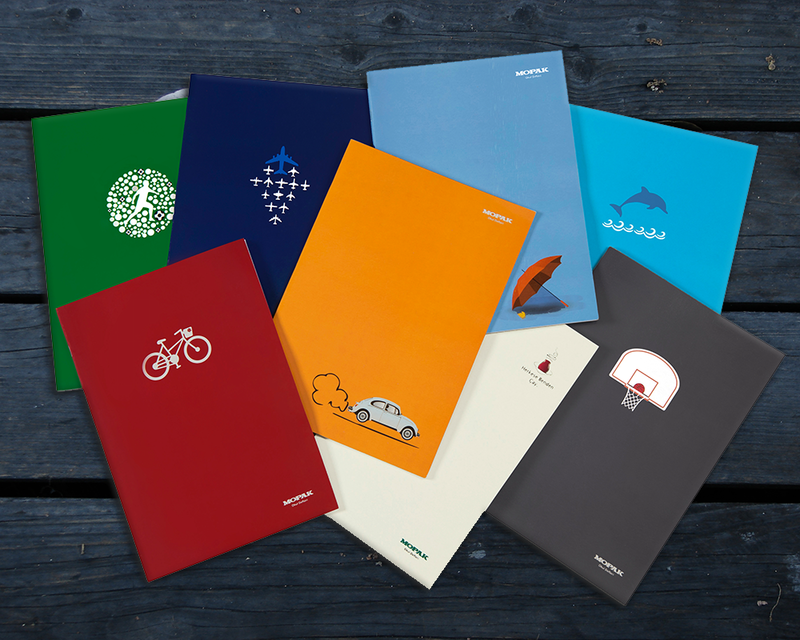 With various colors and types, A4 School Notebooks holds its position in being one of the most popular products. Being resistant to wear and approved in eye health A4 School Notebooks are offered for our customers with 40/60/72/80/96/100/120/ page options. Suitable for multi purposed use with Spiralled, Single Centered and Uniformed Back features, our notebooks consist of Graph, Striped and Plain sheet types. Our notebooks are produced as high grade pulp as 60gr from 100% cellulose. You can check out our catalogue to review our product range in detail or visit mopakdefter.com address. 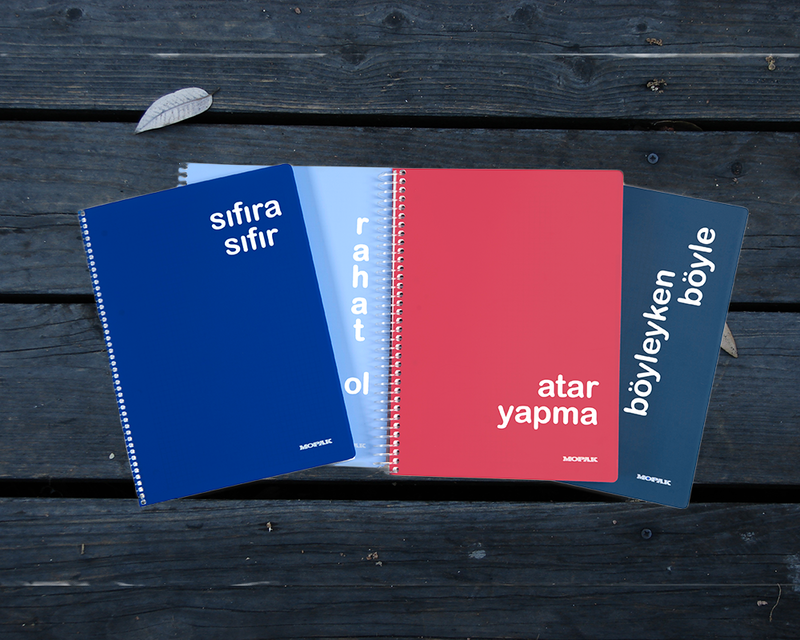 Including our “Özgürlük” and “LakLak” collection, you can find the right cover design for every age and every taste in our Plastic Cover series. While LakLak series was inspired by the popular language the youth uses today, Özgürlük series is offering designs that sought after by the people who don’t want to be rejected. 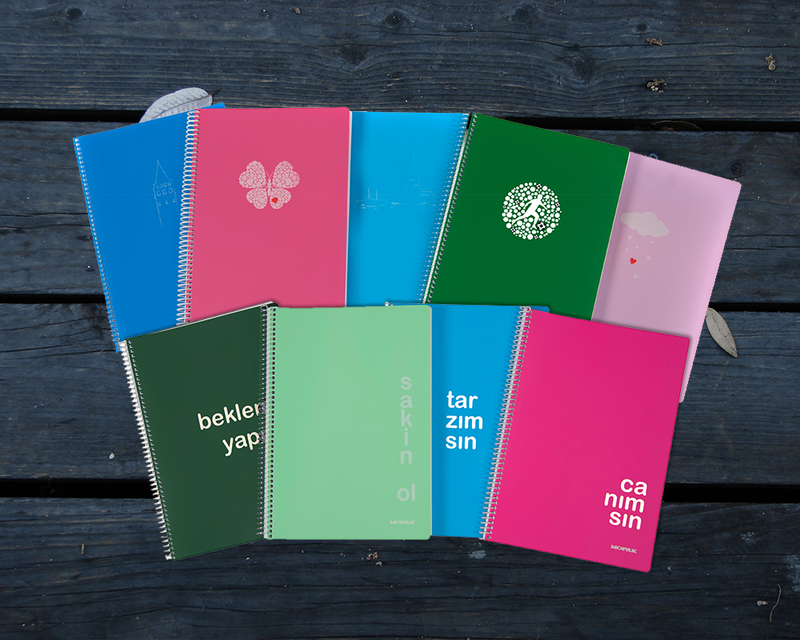 Made of durable plastic and spiral, the pages of these notebooks are made of 100% cellulose with high grade pulp as 60gr. our A4 sized notebooks consist of Graph and Striped sheet types. You can check out our catalogue to review our product range in detail or visit mopakdefter.com address. 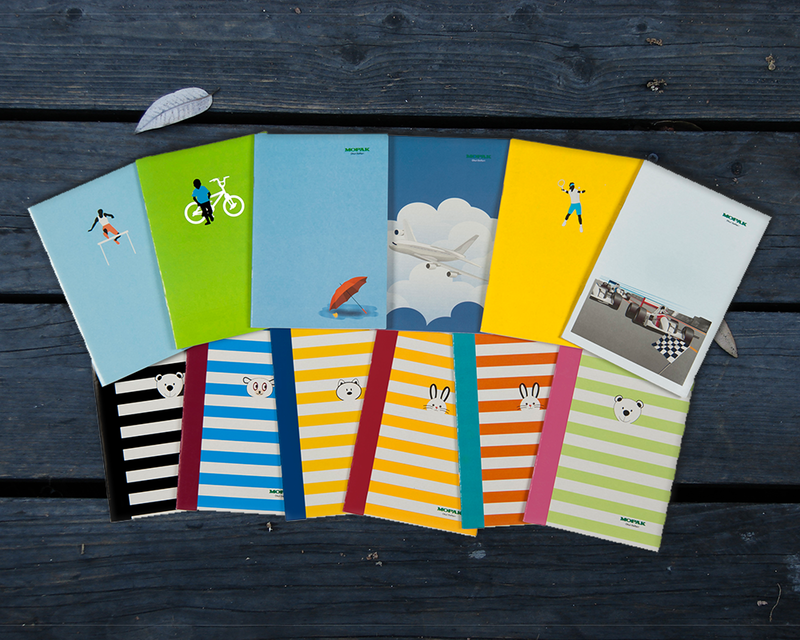 Preferred primarily by the classes of younger ages, these notebooks are designed in a way that addresses viewpoints and tastes of children. Our A5 notebooks have 40/60/72/80/96/100/120/144 page options and offered in Graph and Striped sheet types. Being resistant to wear and approved in eye health, our notebooks have Single centered, Spiralled and uniformed options. They are made of 100% pure cellulose with high grade pulp as 60gr. You can check out our catalogue to review our product range in detail or visit mopakdefter.com address. In this series the users find the opportunity to use a single notebook for multiple lessons by using the brackets. Some people prefer having a higher amount of striped sections while some want a larger number of graph pages. Consisting of durable and soft plastic, the spirals of these notebooks are also made of plastic material. They have 120/160/200/240 page options and are made of 100% cellulose with high grade pulp as 60gr. You can check out our catalogue to review our product range in detail or visit mopakdefter.com address. 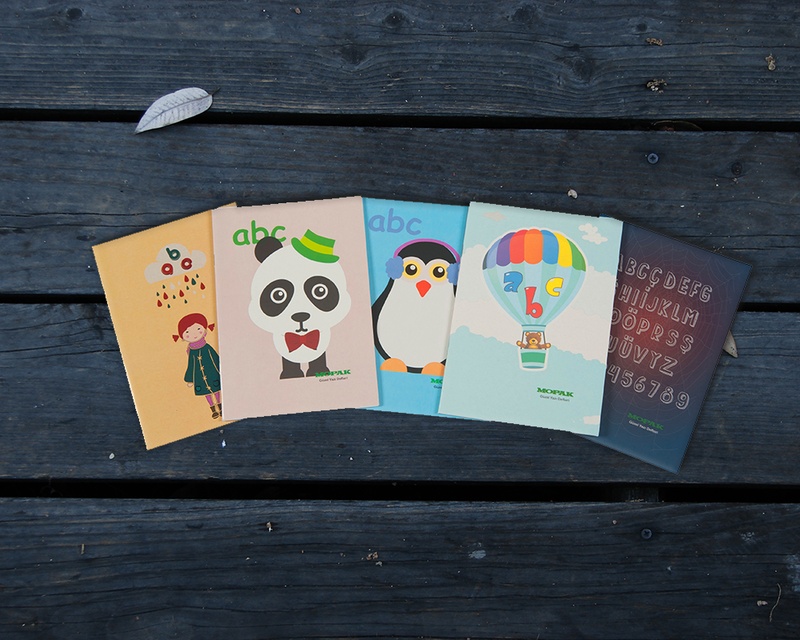 Consisting of a variety of designs and cheerful covers, our notebooks are among the top choices of our young students. With beautifully crafted page lines suitable for calligraphy, the students will learn handwriting in an easier way while improving their general knowledge thanks to the information inside the notebooks. Offered in A4 and A5 dimensions, you can select between 30 and 50 pages options on this series. 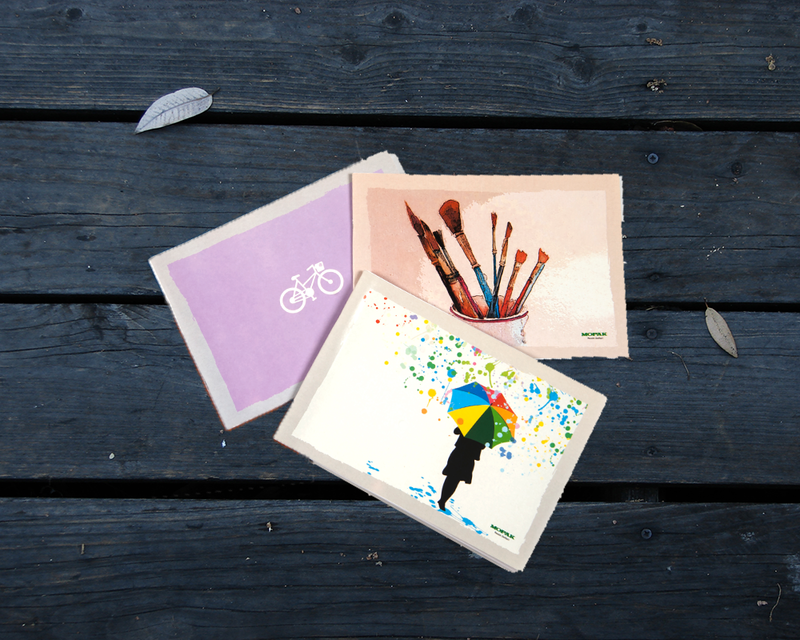 Produced as single centere, our notebooks are made of 100% cellulose with high grade pulp as 60gr. You can check out our catalogue to review our product range in detail or visit mopakdefter.com address. Our music notebooks have been designed for the artistic development of our students. They come in various sizes, colors and page counts. Offered in A4 and A5 sizes, you can select between 20 and 40 pages options. With their carefully drawn staves and treble clef, we aim to increase the interest of our students towards music. 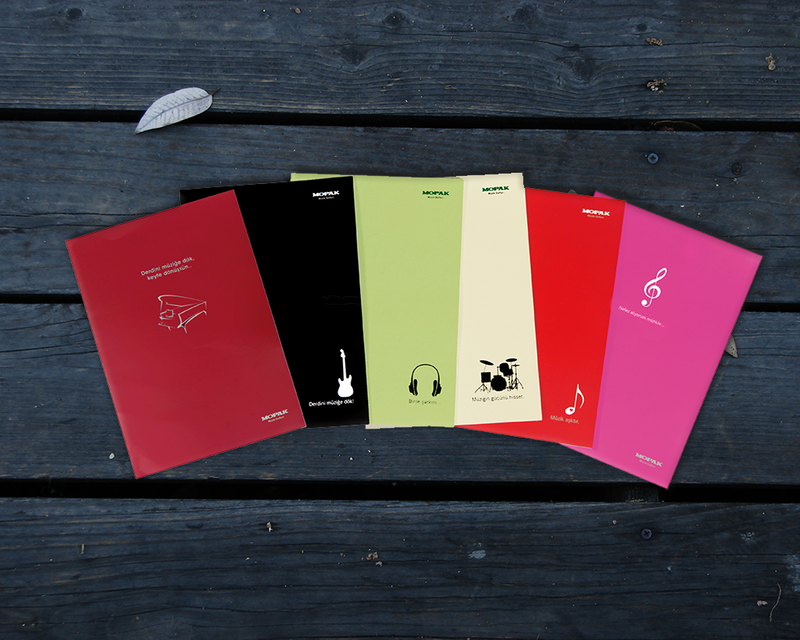 Our music notebooks are made of 100% cellulose with high grade pulp as 60gr, single centered and spiraled. You can check out our catalogue to review our product range in detail or visit mopakdefter.com address. Our notebooks are produced for people with various design tastes and they are always among the first preferences among the art students. Offered in 169x231 mm, 302x210 mm, 25x35 cm and35x50 cm size options, their page features are designed as 80gr. High grade pulp and 100% cellulose. They are available for multi-purpose use with their single centered back and spiraled features. Our drawing books are in the market with16/20/32/40 page options. You can check out our catalogue to review our product range in detail or visit mopakdefter.com address.